Colourful Neon binders available in bold pink, green, blue and lime green hues. The Staples BETTER binders are durable and guaranteed to not break for life. Avery 1.5" binders and Reebok 2" zipper binders are other fabulous choices for students. There are many stylish notebooks for us to choose from such as the Hilory animal print notebooks, Fashion notebooks and M by Staples Arc customizable poly notebooks. They have a wonderful selection of pattern pencil pouches, calculators, staplers, scissors, paper clip containers, Fashion clipboards, erasers, and many more essentials. The wide selection of USB drives to help us save important files include Novelty flash drives with characters such as Batman and R2-D2. The GorillaDrive 16GB is durable, water and heat resistant, and absorb impact. The Lexar 8GB TwistTurn USB flash drive comes 3 per pack. The Acer V5 Slip Touchscreen Laptop or the ASUS X502 laptop in a variety of colours, the Kindle Fire HD 7" Tablet are other cool gadgets for students. iHome Monsters University furry headphones and earbuds with soft ear cushions for comfort are other cute gadgets. There are many choices, such as the fashionable functional Sachi insulated lunch bags, the stain resistant washable BUILT NY lunch bags made with stretchable wetsuit material, Reebok lunch bag with large main compartment and zipper pockets, and a variety of licensed lunch bags. Hilory backpacks with zebra and giraffe animal prints. Colourful Junior 3-piece set includes a lunchbox and pencil pouch. The Reebok backpacks with padded shoulder straps to accommodate a 17" laptop. Licensed child backpacks with Cars and Minnie Mouse. JanSport big student backpacks, High Sierra and Five Star laptop backpacks are few others. A variety of locker products to help students stay neat and organized such as the Merangue Locker Shelf Kit that includes a shelf, mirror pencil cup, dry erase board and marker or locker magnets. Parents and students of all ages will find everything they need to personalize, customize and organize in style at Staples. 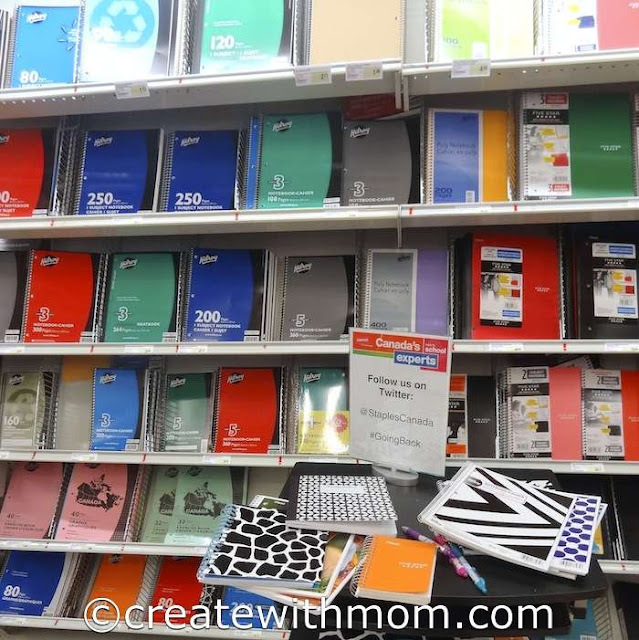 Staples always has a great supply of back to school items and some great sales on the staple (not pun intended) items.Plus the service at the Staples near me is always great! I love shopping at Staples for back to school, they do have great sales and a great variety of items, it's easy! I can always find everything I need at staples.